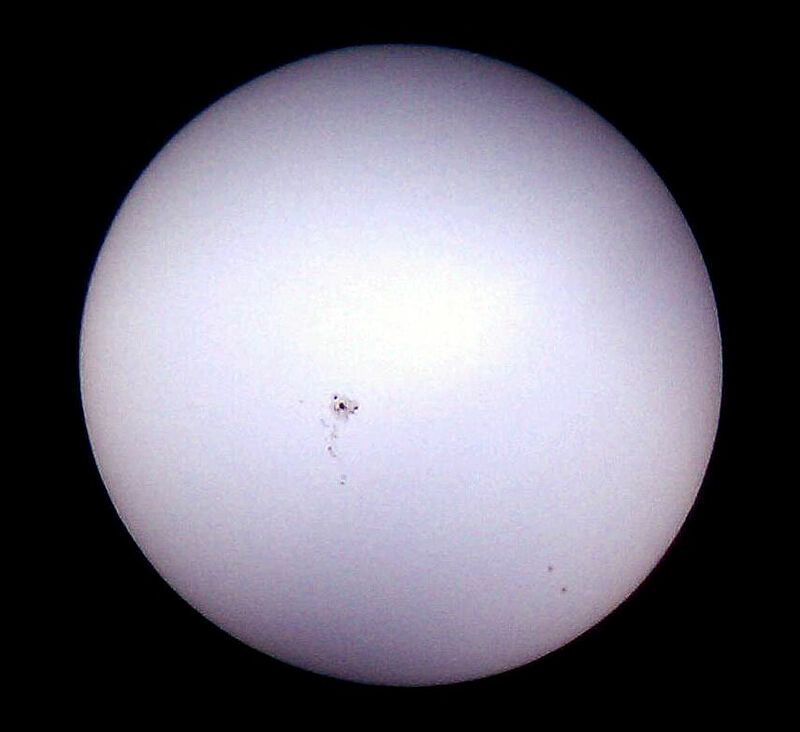 A string of clear-sky days has allowed amateur astronomers to get a good look at a string of sunspots. AR1476 was rotating towards the center of the Solar disk on Thursday, May 10, when CAA member Christopher Christe aimed his telescope (a six-inch Newtonian) for a look. Protected using a Baader solar filter, Chris could clearly see the huge sunspot group and, holding the lens of his camera-equipped smartphone to the eyepiece, shot a photo. As smartphone cameras become more common and continue to improve, we are seeing them employed in astrophotography more often. This entry was posted in Uncategorized and tagged astrophoto, Christe, photograph, smart phone, sun, sunspot. Bookmark the permalink.